and organised unit does not represent dharma , In a hive of bees, there are workers, watchers, nectar-gatherers, rulers. But their organisation is not planned, conceived or carried out on mental basis. It is hereditary or instinctive. It is not cultural achievement as the building of a house. The latter implies knowledge of engineering, acquired through mental effort, conscious communicability, and is based on symbols. The word Manu represents not a person but an office. There have been many Manus and names and numbers have been mentioned, It is maintained that each Manu is in charge of a manvantara a vast cycle of time, guiding the destinies of human beings and civilisations. We now come to the words Dharma Sastra , without which the word Manu by itself can have little significance. When understood as a treatise (sastra) of integration, synthesis togetherness call it what we will, it cannot but cover the entire gamut the physical experience of man, this vision of the cosmic universe embracing the terrestrial, organic, biological, psychological, ethnical, numerical, ethical, aesthetical and spiritual aspects of the human dharma. These are major segments or aspects of life and man has to come to terms with them through understanding and their interaction. Having outlined the task, the treatise plunges into a detailed discussion of every aspect of human existence, in parts or segments, and as an integrated whole. This is the main task of the Dharma Sastra of Manu. The book opens with the description of Nirguna Brahman, the Causeless Cause of the Universes, its division into Saguna Brahman and Mulaprakrti, and man’s descent from these two aspects of the Divine Reality. It deals with the totality of human nature, the path of descent of the Divine and its ascent back to its original source, and with the human drama as but an interlude in the cosmic process. It deals with the empirical existence of man, his physical, psychic and spiritual endowments, but not forgetting the constitution of matter that forms his physical being. The interaction between the two, i.e. the physical and psychological (which also includes his affective nature) constitutes human personality. The identity between spirit, the Divine in man and matter, is studiously maintained. Conflict between the two is strictly eschewed, never accepted or acknowledged. The ultimate purpose of human goal, the merging into the Cosmic consciousness, “the drop merging in the ocean”, is never lost sight of. In fact, the entire empirical existence is planned in the light of this ideal. It behoves us, humble mortals, then to attempt to get a grasp of the vast, cosmic consciousness and vision of Manu, the Great Rishi, catch a glimpse of his Purpose and cooperate with Him, not with standing our limited faculties. It is, perhaps, relevant to remark here that in attempting this task it will be necessary to dispense with the empirical method of interpretation of the Dharma Sastra and the historical emphasis or Indological approach as developed in the west by Max Muller and his students and colleagues and turn the interpretation as given by some of the leading esotericists of the world. Their names are not many : perhaps, a few leading ones may be recorded for the benefit of the reader. H. P. Blavatsky the great Russian Occultist, Swami Dayanand Saraswati, the Founder of the Arya Samaj, and Sri Aurobindo in India and P. D. Guspensky of Russia, have rendered yeoman services to the cause of esoteric interpretation of Manu. To be sure, a great many philosophers and leaders of thought, have devoted their time and energy to the elucidation of the teachings of Manu, but the esoteric interpretation has come from only a few. This is not a subject of intellectual dilettantism, but one on which the accumulated knowledge of man and the future of civilization depend. Manu posits four types of human personality, easily classifiable into four groups. These are men of intellect, men of action, men of feeling or desire and the fourth, being unclassifiable into any of these three. These are brahmanas, ksatriyas, vaisyas and sudras mentioned in the text. 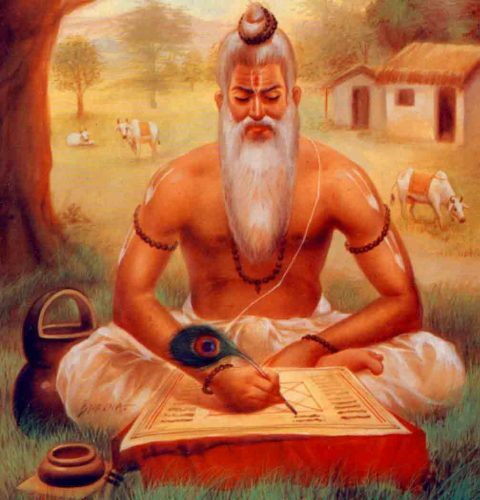 The Brahmana, being a man of sattvic nature, is a priest, preacher and teacher of the group. The ksatriya, being man of action, uses his brawn in defence of the entire nation from internal disruption and outer attack. The third group, that of vaisya, is devoted to commerce, production and promotion of economy. The last, the sudra, devotes himself to the physical needs of the society, and learns to rise through association with the three higher groups. But classification of individuals and groups into professional categories is not enough. Manu lays great stress on ethical preparation, along with professional efficiency, for each stage of the individual’s life and preparation to rise to the next. The classification of individuals and formation of functional groups is intended to help both to transform their inborn propensities, transform their weaknesses and transcend them through appropriate training and thus keep ascending to the appointed goal of Supreme Bliss. It is important and relevant at this point to emphasise the fact that it is not Manu’s intention to create a rigid, inflexible social hierarchy in which the Brahmana is placed at the top of the ladder, while the sudra is left to grovel at the bottom. We have to bear in mind the numerous factors that Manu has in mind in devising this type of social order. The mutability and multiplicity of human temperament, the hereditary changes and mutations, the ceaseless flux of the human temperament, the hereditary changes and mutations, the ceaseless flux of the human temperament to meet the challenge of time, the influence of karma in the life of man, the use of his free will, the change of varna and asrama due to personal effort in one life time, the provision for caste less ness of the individual who has risen to spiritual afflatus by force of his present effort and discipline, must confirm the view of the baseless ness of the western charge on hierarchical inflexibility in Manu’s teachings. utopias, beginning with Plato’s Republic and ending with Edward Bellamy’s Looking Backward or Orwell’s 1984, or Aldous Huxley’s the Brave New World Revisted, we shall, see quite clearly and convincingly that they deal, one and all, with situations as they exist today and, do not indulge in day dreams. Similarly, Manu’s Dharma Yuga, the Age the Synthesis, the Golden Age of the Hindus, existed and in course of time, parts of it fell into disuse till we come to the last age of Kali, the present age of iron, smoke, mental and moral bleakness of the individual and the group. Nor can we forget that it is Manu’s teachings that have been responsible for creation and continuity of India’s ethnic virility, intellectual supremacy, a vast cultural empire in both south and south-east Asia, embracing Indonesia, Malayasia, Thailand, Burma,Cambodia, Laos, Indo-China, Phillipine Islands, China and Japan in the east and many countries in the west with which I shall deal presently. India’s vast resources and wealth attracted alien invaders and the process of their amalgamation and assimilation was done in an orderly manner, so that the invaders became absorbed in India’s politic and became sons of the soil, rather than strangers. Various ethnic groups have been absorbed into India’s life, enriching the heredity of various communities and regions, the intellectual and spiritual heritage of the sons of the soil. It is the spirit of tolerance and nature of man as taught by Manu that have added to India s opulence in this direction. Through selective amalgamation, India retained her ethnic identity and viability, formed a bastion of cultural impenetrability kept the fundamentals of Indian ethos against alien antagonistic forces, and yet promoted the right type of admixture, giving to India a national identity that has defied death and decay. The history of her ancient contemporaries, going back to 5,000 B.C., lies buried in sand dunes. But India still lives and throbs with life and the continuity of her historic existence unbroken. A brief history of the knowledge and impact of Manu on nations ancient and modern is worth recording. Beginning with the Mohan-Jo-Daro and Harrappa we find evidences of life, with all its institutions, educational, social, political, akin to those described in Manu. A similar situation obtained in Sumeria, the contemporary of Mohan-jo-Daro. The spirit of tolerance with which the various communities lived bears the impact of teachings higher than what the native teachers could have provided. The cosmogony, law, poetry, mythology bear close resemblance to those of her Indian contemporaries. The Sumerians were not aware of the deluge, but were conscious of the physical, biological and social organization and evolution as described in Manu. The word Manu came to be shortened to ME, representing the universal rhythm the working of the cosmos and the social life of man. The various institutions essential for human existence and social progress were well developed.Briefly, evidences of the impact of Manu’s teachings on Sumerian life are abundant, as historians and archaeologists have proved it to be. Following these ancient civilisations of Mohan-Jo-Daro-Harrappa, Sumeria and Egypt came Babylon, Assyria, Hatti and Mittanis and we find in all of them a distinct record of the teachings of Manu or a close resemblance to them. Their ethnic composition, names of some of their kings relatives and of their cities have Indian origin. According to Dr. Harshe, we find some relatives of mentioned in one of these civilisations. Babylon is known to have had a College of Sanskrit. Its knowledge of astronomy and calculations of epochs, bearing identity with those of Manu, give us an assurance that Manu’s teachings were a part of the mental equipment of the people. Manu’s teachings were known in Palestine. Not a few of their customs resemble those of the Hindus, while the word Moses is said to be an adaptation from the Hindu word Manu, via Minos, of Crete. When we come to ancient Greece, we see ancient India transplanted there en bloc . Confining our attention to the impact of Manu, it is maintained that Plato’s Republic copied many ideas from Manu. According to Professor E. J. Utwick, formerly of London University, and later of Toronto, in his Message of Plato, has maintained the position that those without a knowledge of Hindu philosophy, would call Plato the first original thinker of Europe. Tacitus, the Roman historian, (78 A.D.) records that the early German tribes described Manusc as the founder of their race. See his Germania , verses no. 3-4. This name sounds like Manu who is the progenitor of man. According to contemporary historians, the social organisation of Germany was fourfold, like that of the Hindus, and the functions assigned to each group were the same as their Indian analogues, Rightly or wrongly, Chamberlain, the German ethnologist attributes to Manu the racial psychology of Germany of modern times. It is a well known fact that when Emperor Justinian wanted the Laws of his Empire to be systematised and codified, he appointed jurists from Greece and they were deeply influenced by Manu’s thought. This is also the opinion of H. G. Wells and Sir Paul Vinogradoff, former Professor of Jurisprudence of the University of London. This was in 600 A.D. Earlier, when King Darius, (5th cent. BC) of Iran, was framing a Code of Laws, he is said to have turned to Manu, since India was near to him and it was a part of his empire. During the last decades of the 18th century, Europe was caught in a great economic, social, political and cultural ferment. The various wars, the emergence of science and machine, involving complete transformation of life, rapid communication between villages and cities and nations, changes in agricultural and economic patterns of life, and secularisation of all knowledge had burst upon Europe and there was a feeling of utter helplessness and loss of values. People thought that there was to be no more joys of simple rural life, and that they would have to live in a world of power and economic imperialism and quick change. Then something appeared that led to a revival of hope and some semblance of joy among both the masses and the intellectuals, and that was the translations by William Jones of the Bhagavad Gita , Manu Dharma Shastra and Sakuntala of Kalidasa. The first laid emphasis on the fundamentals of Indian philosophy, the second on the principles of social organisation, while the last revealed the dramatic and poetical genius of India. The English translations were quickly translated into other European languages and the leaders of thought in each country went into ecstasies over the discovery of this new continent of knowledge. In Germany, Kant, Hegel, Schopenhauer, Schlegel brothers, Heine, Herder, Humboldt and many others took part in painting verbal pictures of the type of the country that could have given birth to such profound systems of philosophy, sociology and drama. This is what is known as the Romantic Movement in European thought. It found expression in France in translations by various scholars. Count Bonald and Count Maistre wrote extensively on politcs and government along lines of Manu’s teachings, while the latter used to lecture on this subject in salons of St. Petersburg when accredited to the Russian Court as representative of the King of Sardinia. Comte, considered to be the father of modern sociology came under the influence of Manu’s teachings through the writings of these scholars and of his teacher St. Simon, while numerous other thinkers, poets, novelists wrote and spoke of India extensively. Voltaire considered Manu, one of the books translated into French as the best book that had ever come from the East, while Emile zola, Victor Hugo, Chateuabriand praised Indian thought to the skies. It is said that the framers of the Napoleanic Code drew on Manu when commissioned by Napolean to do the job. The revelations of Manu s impact on English writers has not been complete. Of course, when the book was published in 1795, one Joseph Priestley wrote a volume of many hundred pages, opposing Manu’s teachings and defending the Christian theology and sociology. But other thinkers of Romantic movement were familiar with Manu’s teachings. Some of these were Thomas Carlyle, S. T. Coleridge, Shelley, Byron, Keats, Southey and others, till we come down to the present century when E. J. Urwick compared Republic of Plato with Manu’s Dharma Sastra, and Professor H. S. Mackenzie, one of the leading thinkers of England, referred to Manu’s teachings. From Europe, Manu went to the U.S. and influenced the leaders of the Transcendentalist movement, Emerson, Walt Whitman and Thoreau. Thoreau had received a copy of Sir William Jones’s translation from a friend and passed it on to Emerson. Emerson studied the book, carefully saw its implications for the rising civilisation of the U.S. and, with the permission of the publishers, serialised it, chapter by chapter, in this weekly journal, The Dial. The book was extensively studied by American scholars,not a few of whom became leading sociologists of the U.S. on their return from German universities where they came under its influence. The leading sociologists of the US. of those times who refer to Manu’s teachings were Lester F. Ward and Thomas Harris, a Professor of Washington University in St. Louis, who later became the first Commissioner of Education of the United States. According to Walter Leifer, the Romantic Movement of Europe affected the Russian world of letters. As remarked earlier, Count Bonald used to lecture on Manu in Russian Salons. A Russian translation was published during the fifties and its new translation appeared during the fifties of the present century. We must now face the question as to why Manu Dharma Shastra has enjoyed such popularity and continuity since ancient times, beginning with the Indus Valley civilisation and continuing upto today ? Our statement of the causes of this phenomenon must be brief. There are four outstanding features of Manu’s social theory that have imparted to it a touch of eternity, and these are monistic cosmology, supremacy of consciousness, design in the universe and freedom, moksa, as the ultimate goal of human life. There is an other characteristic of Manu which we must mention in passing. First with regard to social progress, Manu maintains that it is possible to ensure social progress, provided the laws that give continuity to human civilisation are properly observed and put into practice. Firstly social progress must be distinguished from evolution. The latter is a neutral category, snatched from the science of biology, while progress is a social and positive phenomenon. Secondly progress involves evaluation from time to time, as every planner in modern times knows. Thirdly, progress implies control of the situation. Progress in the animal world just happens, but at the human level it has to be willed and planned. We now come to the second part of this paper, the Modern world. Manu has given an indication of what can happen to man and the social fabric if man ignores these fundamental laws and invents myths of his own making. The present-day world labours under numerous myths : the myth of uniformity of human nature, the myth of equality, the myth of democracy involving social, economic political equality, the myth of classless society, the myth of non-heirarchical ‘‘social order, the myth of proletarian dictatorship, the myth of multiple party government, the myth of centralisation of power, the myth of the omniscience of inconspicuous politicians catapulted into position of power, the myth of bigness,and so on. All these militate against what Manu has taught throughout ages, and he may be credited with also having anticipated results of our non-compliance with these eternal principles. The observance and compliance with these eternal varieties slowly deteriorates. From Satya Yuga, the Golden Age, man descends into Kali Yuga, the age of darkness, iron, steel, etc. of interpersonal and inter-group conflicts and tensions. The myth making age, which is the modern age, is the age of adharma in which there ‘is complete reversal of value and virtues, of standards and ideals’. Manu gives salient features of this social disorganisation,culminating in ‘Brahmahatya’, extensive use of intoxicants, and other great sins (the pancamaha patakas) ; also several other sins. Put in modern sociological jargon, the description means this . “These are the marks of the individual and groups who are in a state of moral and spiritual collapse, and of the age which is in a state of advanced decadence. They together represent social disorganisation in excelsis. Expressed in the language of our times, they represent man’s senseless destruction of the fine web of ecological balance, a wanton destruction of natural resources, such as minerals, plants, and animals, a false class-consciousness, use of intoxicants, a highly incensed populace whose sexual propensities know no limits or decency, and is capable of grossest transgression, low business ethics, neglect of spiritual study and discipline, of normal domestic life, exercise of ruthless power of man over man and liquidation of his body, mind and soul. It represents the age when man’s entire intelligence is devoted to a debauch of his sense-life, and the human and spiritual elements are in complete abeyance.It is the age of conflict between man and Nature, between man and woman, between various groups, between individual and state, between the country and the city, between man’s natural and spiritual being.” Has any author in human history given such accurate description of the modern situation and could any one improve on it ? Man must retrace his steps or SELF-annihilation is the destiny that awaits him. Indian Education: A Boat Facing High Tides....!